"If you can say what you need to say in 90 seconds, then great." Brian and Denise Conway, collectively known as Cordcalling, have been banging out songs together since 2008. They’ve released two full-lengths, an EP, and singles of wildly unpredictable tunes. Subscribing to the tradition of bands like Guided By Voices or The Ramones where you don’t need a long song to make a good song, Ransomed Felon amps up the anger meter with each biting, verociously verse sung by Denise Conway. Opening lines “I don’t want what the world is selling. I don’t want the lies it’s telling” get straight to the point. Fuzzy guitar riffs from Brian and Denise’s own drum smacks pulsate behind the lyrics. When the song reaches the third and final verse, Denise’s voice has reached a coarse, shrill and seems about to break out of frustration. London ON Cordcalling consisting of husband and wife duo Denise on drums and Brian of guitar, were our in-store entertainment for the evening of the December 1, 2017 First Friday. Doing several interesting cover songs with their own distinctive growl and roar to them, along with originals, many customers compared them to The White Stripes, especially as they were doing a White Stripes song. Some of the other covers they did were U2 ‘Streets With No Name’ where Denise’s vocals very much reminded us of Patti Smith and a version of The Beatles ‘I Want To Hold Your Hand’ that had an urgency and abruptness to it that made it distinctly their own. Along with these and other covers, they performed many originals from their most recent album release called ‘We Are Still’ . A quote by Jason Schnieder of the Kitchener Record dec 6 Cordcalling-WeAreStill-DigitalCover (1)newspaper describes them very well. This husband-and-wife rock duo is “doing more with less”. “Marching to the beat of their own drum.” They are a force of 2 to be reckoned with. London’s critically-acclaimed art rock duo Cordcalling will be performing in-store at Sarnia's Cheeky Monkey on Dec. 1. A husband-and-wife duo that has been destroying the college radio charts with their art rock will be taking names and kicking out the jams at Sarnia's Cheeky Monkey Record Store on Dec. 1 as London’s Cordcalling comes to Sarnia for First Friday festivities. 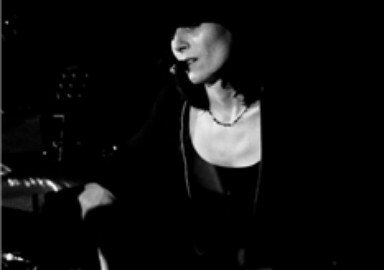 Consisting of lead vocalist, drummer and songwriter Denise Conway and back-up vocalist, guitarist and fellow songwriter Brian Conway, Cordcalling is known for its high-energy, raw and rockin' live show, where the Conways perform critically-acclaimed and unique, original music. Technology has come a long way in the music industry, but for some there's no better sound than a needle hitting its groove. That's exactly the kind of feeling Denise and Brian Conway wanted their next album to encapsulate a warm, authentic sound - one they could only achieve with vinyl. And that meant starting from the ground up. "We're kind of purists with the way we do our music. We kind of wanted it to be real, and raw," Denise explained. "Doing it digitally and then putting it on to vinyl - that kind of contradicted itself, and part of it was to just experience what it's like to record in that other realm." At first, the old-school methods they were looking for weren't easy to come by, but after convincing London's EMAC Recording studios to haul out some old epuipment it simply became a matter of learning on the go. "It was challenging for them, too, because one of the tape machines hadn't been out since the '90s, so they had to kind of dust some things off and get some other people in to help with the project as well," said Denise. "They were excited about it...they said it forced them to use a lot of gear they had never used before on an album." The record, We are Still, is set to drop Saturday, April 8, with a release party and show at London Music Club. That also means it will hit shelves in time for a performance during Record Store Day's 10th Anniversary at Grooves Records on Saturday, April 22. The album will also come in the usual CD and digital platform formats. The Conways may be delving into the past, but that doesn't mean they aren't evolving at the same time. "Our first album was more positive - this one is positive in a different way," said Brian, adding over the years the duo has become a little less idealistic as they've grown together, not only musicaly, but emotionally, as well. "This one is more about dystopia, about how meaning in life is not found in material things or success or money. We've gone through more together, and we've grown deeper with our songs and our playing has gotten more dynamic." The idea that things are never as easy as they were when growing up is a theme the duo couldn't help but meld into their song writing, and is something they both know fans can relate to. "You kind of learn over time both musically and as a person that sometimes things don't work out quite the way you're hoping, and how important it is to come to a place of acceptance with that," said Denise. "It's also about looking for a deeper meaning in life, and that things aren't as simple as you think they are when you're younger. It used to be black and white, and now it's grey." 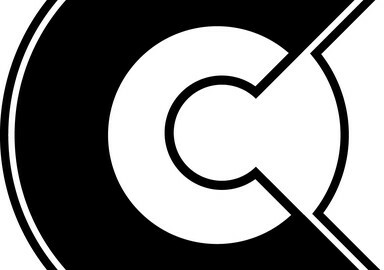 Influenced by bands from The White Stripes to Nirvana, and even Bob Marley, Cordcalling has found themselves in charting positions on Canadian college radio, catching the attention of a number of publications, including Canadian Musician Magazine. They've also been one of the most nominated bands at The London Music Awards, and have received a nod for fan favourite at the Jack Richardson Music Awards. According to Denise, it's a collaboration built not only on music, but a relationship decades in the making - something eluded to in their name. The album was pressed to vinyl at Capsule Las in Los Angeles, California. Brian and Denise have been playing music together nearly as long as they’ve been married. Their first album, Obsessed by The Light, was release in 2010. The appearance at Grooves for the 10th anniversary of Record Store Day will take place as the record store on Dundas Street between 1 p.m. and 1:40 p.m.
All four songs we played for you are from our in studio guests, the band Cordcalling, made up of husband and wife duo Denise and Brian Conway. The last track you heard on sCreamGrrrl’s Can Con corner is called Wicked Desires and one of my favourites. You can find it on their 2010 album titled Obsessed by the Light. We also played 3 new songs for you called My Friend, Untied and Happy from their upcoming 2nd full length album titled “We are Still,” to be released next month on April 8th. HowieZowie and sCreamGrrrl have been fortunate to get a sneak peak at the new album before its official release date. We’ve listened to the album this week, while hanging out in our sun room and I have to tell you that it’s absolutely amazing. These two totally freak me out and I mean that in a good way. Their sound is hard to pin down. They seem so familiar to me yet so unfamiliar. They definitely have a style of their own. The Album Release will take place at the London Music Club in the Big Hall on the main level on April 8th doors open at 6:15pm with Cordcalling hitting the stage at 8pm. Minimum cover is $3 at the door and you can’t beat that. Then on April 22nd Cordcalling will be performing live at Grooves Record Store from 1 to 1:40 pm. And very important to mention that April 22 is Record Store Day, notably the 10th anniversary of record store day and sentimentally just in time for commemorating the independent music scene. You can also pick up hard copies of their LP at Grooves on this day. We promise you will not be disappointed. Admission is free so check them out. And you can find all this information on their official website cordcalling.com and they also have a FB page you can check out that has created these events on-line. "Happy" is the first track on our new album "We are Still." 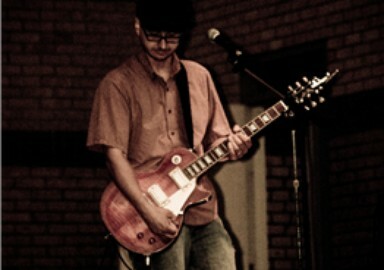 The following influences may be heard in the song: punk, heavy rock, and even hip hop. It contains many parts that are unique in themselves, but also fit together as a cohesive whole. The message of this track is related to the dystopian American Dream. It is about the vain struggle to find meaning in worldly success and exposes the search for true purpose. "Untied" is the first song that we wrote together (that we've recorded so far). It was created by integrating two song parts that we came up with individually without the original intention of melding them together. When we were searching for songs for our new album, we were listening to the ideas that we each had come up with and we liked these two different parts. We didn't originally think that they would fit together since they are distinct from each other, but, after listening to them over time, we decided that they could be united to form a song of its own. There is an ebb and flow in the way we play "Untied"; it is very much a song that we need to just let guide us rather than trying to force it within technical or stylistic boundaries. This is one song that we actually just kept the first take of in the studio. EMAC's engineer Matt Grady said that it was the best thing that we played all day and he insisted on us keeping the first take even though Brian thought he might not have played it the "right" way. There was something about the way the parts just blended together that made it "feel right". "My Friend" (the second track on "We are Still") also contains influences from a variety of styles, including hip hop and heavy rock. Brian experiments with a bunch of different guitar effects on this tune in order to produce the contrasting sounds that mirror its message of dis-connectivity. Listen to our live interview, which aired on "Saturday Morning with Howie Zowie" on CHRW Radio (94.9 FM) on Record Store Day (April 16, 2016). In it, we talk about our upcoming record, "We are Still," and feature one of our new recorded tracks, "Blinds." On June 6, head on down to the Old East Village on Dundas Street between Adelaide and Rectory for food, entertainment, and of course, one-of-a-kind deals. The popular event is held from 10am to 5pm and coincides this year with the Fringe Festival. Art Rock - we are creative with a raw, minimalistic approach. The White Stripes, Nirvana, Led Zeppelin. We view music as a creative and expressive outlet. Besides the enjoyment that we receive from it, we hope to inspire people to seek after truth, love, and goodness. We performed at Canadian Music Week in Toronto, which was an honour since the festival is so renown and it included headliners such as Sloan and The Trews. When we tried to book our first gig, we didn't even have a copy of our music on CD, only on a cassette tape. The booker at the bar didn't have a tape player, so Brian had to drive home to get his walkman (lol). Although it was not the typical way to book a gig, it worked out and the show successful. "Wicked Desires" because it shows how much passion and power we can pack into a fairly simple tune. It is our single that radio stations have played the most. We also have an official video for it, which may be viewed on our Youtube page. Anything else you’d like to say about your band/music that I forgot to ask? On paper, London, ON's Cordcalling have a lot in common with The White Stripes. The male/female guitar/drum duo plays loud, blues-influenced rock; however, the similarities largely end there. 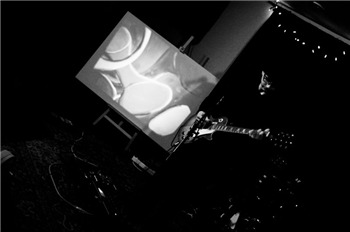 Cordcalling's somewhat experimental approach allows them to work a lot of sound into tight two-peice compositions. The husband and wife duo of Denise and Brian Conway take their songs in any number of directions. "What I Have" boasts a country-blues feel while "When I scream" contains a lot more garage and punk. Imagine finding the person to spend the rest of your life with; a person who happens to share the same passion for music as you do, and same career aspirations as well! Sounds like a dream. But Brian and Denise Conway are living it as the raw and intense rock duo, Cordcalling. Well, Brian and I were both musicians and we fell inlove with one another and got married. It was a natural evolution towards the formation of our duo Cordcalling. We have played with other musicians over the years, but the dynamics were never quite right. We work best asa duo since we share similar musical styles and views. Also, itis very practical for us, since we can make decisions just between the two of us - something that we have had a lot of practice at already. How would you describe the "essence" of Cordcalling? The "essence" of Cordcalling is bringing apositive vibe to people through relating to universal but very personal humanexperiences. Cordcalling's sound is an eclectic mixture of punk, swing, country and blues. Our raw feel and unpredictable time changes have beennoted as some of the qualities that set us apart from other bands/duos. It is fun music but also very intense and lyrical. As I understand, you do "more with less". Howdoes that affect your sound? Do you think that gives you an advantage or a disadvantage in this industry? We don't like to overemphasize that we are a duo simply because we think of ourselves as people making music, just as 5-piece bands and soon are doing. We believe that it is people's abilities to be creative with music that defines their sound the most rather than how big their band is. However, we don't pretend that being a duo doesn't affect the music at all. Of course, we cannot achieve the busy and integrated sound that comes from a band with 3 guitars, a bass, drums, and 4 singers...but that isn't what we are wanting to achieve. Just as there are advantages to a having a full band, there are advantages to being a duo. Musically, Ithink that there is simply more room to be creative and to use dead air to provide emphasis. We like to hear every instrument's individual parts,which is a lot easier when there are less musicians. I guess it just comes down to what sound you like and what you are aiming for. How would you describe the music scene in your hometown of London, Ontario? Have you, or are you planning to tour elsewhere? The music scene in London is okay. For the size of the city, there really are a lot of venues to play, although, just recently, a few of them have closed down. I would say that there is a healthy music scene here, which is demonstrated by the amount of posters that decorate the downtown and community newspapers daily. We have played a lot in London over the past two and a half years and have graced a few other towns/cities such as Toronto, Burlington, Kitchener, St Thomas, Woodstock, etc. Yes, we are definitely planning to tour more extensively in the not-so-distant future; however there are no concrete plans right now. Could you explain why you picked the name Cordcalling? Cord symbolizes the spiritual connectedness between all of humanity. Calling is a reflection of our belief that we are meant to share our experiences with others through music. Who are your favourite artists and how do you think theyhave influenced your music, if they have? My favourite band as a teenager was Nirvana, therefore, they influenced me in the way that I like to express myself freely and sincerely through music and lyrics. Brian's favourite band was Led Zeppelin, therefore, he has been influenced by their blues/rock guitar style. What is the best part about making music? It is fun...it is such an innate part of who we are. It is also a release. Just the act of creating is so exciting - it is a subconscious expression. What do you hope people will gain from listening to your music? A sense of purpose. A sense of belonging. Of course,we also hope that they enjoy the aesthetics of our music and our live shows. Any upcoming news/ events/ releases we should know about? We are playing The Richmond Hotel in London on Sat, Jan 17. We are also recording an interview/performance on Jan 20 on 106.9 The X FM to be aired at a later date. Where would people go to learn more about you, or to purchase your music? Our website is www.cordcalling.com. Our Myspace page is www.myspace.com/cordcalling. We are also on various other sites, which people may get to from our website. Our CD is also available at Grooves Record Store, downtown London, ON. LONDON, ON. -- Now celebrating its 7th Anniversary, the London Music Awards (LMA) continues to honour and promote London-area musicians, along with individuals and organizations who support London's vibrant music scene. The LMA give fans the opportunity to nominate their favourite musicians and other industry players and then cast their vote for the eventual winners. This year, Scene received over 650 nominations from London music fans -- about 10% more than last year! The nominations included a wide variety of musicians in over 20 categories of music and music-related activities. Now that the nominating process is completed, voting will commence on January 29. Fans can either vote online or via paper ballots in Scene. Those who receive the greatest number of votes will receive a London Music Award in their respective category. Winners will be announced on Wednesday, June 10, 7:00 p.m. at the 2009 London Music Awards Ceremony to be held at the The Wolf Performance Hall. Tickets are available at the Grand Theatre Box Office (471 Richmond St.) or by phone at (519) 672-8800. In addition to honouring musicians in their hometown, the London Music Awards also promotes London-area musicians at three key music festivals in North America. They are Canadian Music Week International (CMW), The North by Northeast Music Festival (NXNE) and the South by Southwest Music Festival (SXSW). First up is Canadian Music Week (CMW), Canada’s leading annual entertainment event dedicated to the expression and growth of the country’s music, media and entertainment industries. Now in its 26th year, Rogers Wireless CMW combines two information-intensive conferences; a cutting edge trade exposition; five awards shows and the nation's largest New Music Festival. Scheduled for March 11 – March 14, 2009, CMW will take place at the Fairmont Royal York Hotel and at over 45 live music venues in downtown Toronto. Gene Simmons will be a featured artist keynote speaker at this year’s CMW on Thursday, March 12, 11:00 a.m. Simmons will speak about his various business endeavours and experiences as the co-founder of the rock super-group KISS. As far as local artists are concerned, Scene is proud to once again sponsor a special showcase for London musicians at the CMW. The five bands/performers who received the highest number of nominations for the LMA received special invitations to take part in the showcase. The Scene Showcase will take place on Thursday, March 12 at Holy Joe's (651 Queen St. West) in Toronto. This showcase is the perfect opportunity for new London bands and musicians to display their talents to both fans and record company A&R reps on the lookout for next year's stars. The line-up at this year’s CMW Scene Showcase includes: singer-songwriter Justin Plet (9:00 p.m.), alternative rock group Pilgrim (10:00 p.m.), indie rock duo Cordcalling (11:00 p.m.), hard rock power trio Redinger (Midnight) and alternative rock group Elworthy (1:00 a.m.). Although they will not be performing at the Scene Showcase, other London artists slated to appear at CMW include Baptized In Blood, Basia Bulat and The Job. For $35 a limited number of early bird Canadian Music Fest wristbands are available now and can be purchased at www.canadianmusicfest.com or by calling (905) 858-4747. Your wristband gets you into the CMW Scene Showcase, as well as exclusive gigs, afternoon shows, club nights and after parties throughout the course of this four-day event. There were three of The Joys - bassist Ken Ross (cool Specials ska hat), guitarist Mike McKyes (tight-fighting black hat) and singer/guitarist Sarah Smith (fine looking tattoo) - playing at the Wortley last night. With drummer Kevin Komatsu stranded with car problems in Hamilton, they were a little nervous about how it sounded. I thought it sounded fine, especially hearing new versions of songs from Unfold, including the title track & Fly. It was all new to them, Sarah Smith said after the first set. She has one of the great voices in London rock history & even over all the talking you could hear her in a nicely powerful but not overpowering room-filling way. Which if you have heard her isn't entirely a surprise. Everyone was having fun (always a fine Thursday night idea) but the talking really surprised me. I was over in the part of the bar where you could stand & watch the Knights lose & presumably weren't there solely for The Joys. Actually, there were at least two duos right there too so they were listening for sure. I'll get to The Takeoff and Cordcalling in a minute. Mike McKyes had a long rockabilly roots country solo on Me & Bobby McGee (I guess Janis Joplin was being referenced about the same time on last night's 30 Rock episode which I'll watch today) & that got the first more or less universal cheer. Sarah asked about people who had to work tomorrow (ie. Friday) & people who didn't & later there was a big singalong about what's going one & once again London's hardest-working band triumphed. Actually, The Joys may not see it that way, what with the unplugged (Ken Ross on electric bass, playing quietly, with the two guitarists on acoustic instruments) idea being an experiment. I would like to hear this fine experiment repeated in, oh the London Music Club, where there would be joy in the land with their drummer & car safely arrived & the fans could listen & party & cheer when Sarah Smith thanks them for coming out on a Thursday night. Which they did last night at the Wortley come to think of it. Anyway, the first duo I met proved to the two likely lads known as The Takeoff . They are guitarist Mike Ridder and keyboard player Pat Dryburgh. The Takeoff was to take the stage between two Joys sets last night & the last Impala to Sherwood Forest needed its driver so I missed them. I do like their attitude. After some discussion, Mike & Pat suggested Matchbox 20 as someone they might sound like & then went on to add: "Adult pop . . . the kind of concert you'd take your mom to . 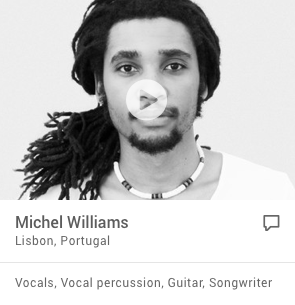 . . look out, Michael Buble." Good to hear. I gather The Takeoff represents a meeting of musicians from other bands & they will be playing Winks later this month. Listen up. Sitting just in front of me were the two members of a more established duo Cordcalling. We had a nice talk (okay so I did some of the talking during The Joys, too, but I used my soft sepulchral voice) & as always I was impressed by Cordcalling's commitment to getting their music out there & the serious joy they take in listening to other performers on the London music scene. Before all that, I had been at a community meeting at Orchard Park public school over a proposal to put a bridge & further pathways in our beloved Medway Valley, These developments, detailed by city hall staff who were there, would connect our bank of the mighty Medway to the east bank near the old Elsie Perrin Williams estate. The figure of $200,000 was thrown around with some disgust (my hearing might be bad on the actual number) by neighbours who didn't see the need or value in the project given the economy, the environment etc. I arrived v. late - which didn't stop me from speaking, it seldom does - & so need more details on what's going on. Later, I will check the community association's website - www.orchardparksherwoodforestratepayers.ca - for more information. I can say two things. First, anyone who tells you the environment has vanished as an issue is wrong. The passion with which neighbours from our quiet & once remote part of London spoke about the Medway Valley & the need to preserve it was beautiful & inspiring. Second. Hooray for Sandy Levin. It turns out the former city councillor, who once represened Ward One under the old boundaries, is the president of the Orchard Park Sherwood Forest Ratepayers. As someone who was president (playing a tiny role) when the neighbourhood was involved in a major fundraising campaign to help the city will some enhancements in the valley (a stairway, lookout & a much smaller bridge), I am proud to see Sandy leading the organization. With a name derived from a belief that all humanity shares a common connection, on top of each individual having a specific purpose, Cordcalling certainly doesn't shy away from big ideas when it comes to their music. However, it's all done within the limitations that London-based husband and wife Brian and Denise Conway have set up for themselves as a guitar/drums duo. The pair recently released their debut three-song EP, When I Scream, which shows a lot of diversity in a short amount of time, from early '90s grunge, to more experimental passages based on some highly evocative lyrics. 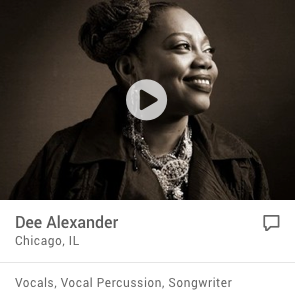 What also defies convention is that Denise handles the lead vocals while also keeping time behind the drum kit. "We started out working with a few drummers, but none of them ever really stuck with it," she says. "I mean, being married, Brian and I already have a commitment, so it was hard to find someone we could have that same kind of musical connection with. I was playing bass, but one day about two years ago I said, 'Well, why don't I just play drums? I've always had a feel for a lot of different instruments, so it didn't really scare me at all." The Conways have spent time with other bands in London, playing everything from swing to reggae, but Denise says forming Cordcalling was their chance to finally put their personal stamp on something. "I think we started this band with the intention of having complete creative freedom," she says. "The feedback we get most often from people is that they never know where our songs are going to go. The time changes are unpredictable, and we generally try to make each song different from all the rest. When we picked the songs for the EP, we were conscious of having them fit together in some way, but the other songs we have ready to record go off in a lot of other directions." Denise says they plan to start recording a full-length album in the fall, although at this point it should still be a reflection of their live sound. "We're kind of purists that way," she says. "We don't want our live show to be that different from the recording, because we hate seeing bands where we expect this big sound and it's not there. We just want to present ourselves as we are." While Cordcalling's approach may be unique, they're still part of a growing trend of two-piece bands, something the pair is just beginning to realize. "It does get a little tiresome being automatically compared to The White Stripes all the time when in reality we don't sound anything like them at all," Denise says. "We've done gigs, where out of frustration, we'd play the riff from Seven Nation Army and then abruptly go into one of our songs. Normally that gets the message across that we're trying to do our thing, and people are more receptive after that." CORDCALLING PLAYS FRIDAY AT THE CIRCUS ROOM IN KITCHENER WITH GUESTS THE ECSTATICS. COVER IS $5 AND THE SHOW STARTS AT 9 P.M. TO HEAR A SAMPLE, GO TO WWW.MYSPACE.COM/CORDCALLING. As the ‘arts reporter’ I get sent invitations and requests to see, read or listen to a variety of creative outputs. Over the past several months I’ve received several new CDs and with our hectic summer festival season on the wane, I thought this would be a great time to catch up on my listening and offer up my critical thoughts. Artist and their production companies send out CDs to media outlets for a variety of reasons, primarily to get reviews and media attention, with the hope this will in turn generate sales. Others, like Great White’s Back to the Rhythm that came out last summer, was sent as background prior to my interview with Jack Russell in preparation for the Rock the Park story, but with the same end in mind. I enjoyed Great White’s CD but I’ll save the page space for London artists. However, I will add that the band put on an amazing show with the entire Rock the Park line up and park layout working exceptionally well while raising money for charity. I also received Algerian-French punk star Rachid Taha’s Rock El Kasbah: The Best Of, in promotion of a London concert on July 6 that was later cancelled. The cancellation was truly unfortunate because Taha’s music would have broad appeal in London with its world beat influences and dance, punk and funk sounds sung in Arabic, French and English. While language could have been perceived as a barrier, I found the music with its blending of old and new world sounds compelling in a way that transports you to that place that only music can. I also receive unsolicited Canadian releases like Alana Myles new CD Black Velvet that will eventually find its way into assistant editor Sean Meyer’s collection as he indicates he has “all her previous releases.” Her sound is adult contemporary with a solid Canadian rhythm and blues soul. Fans, and those of us 40-something and still ‘in the game’, will connect with track three, Prime of My Life, while track 11, Trouble, is reminiscent of previous releases with that signature Alana Myles sound. Then there’s Vancouver’s The Painted Birds, formed in 2005, which played the London Music Club’s Cellar Lounge on Feb. 28 and the Bristol Pub on June 4 with their inaugural CD So Much For The Rain. They have been compared to Cold play but at times it felt like a Canadian fusion of the Northern Pikes and Sloan. Like those bands, it’s music that quickly grows on you. In terms of Londoners, or in this case a former Londoner, there’s DO Iomega’s I'm Your Man, released in Canada on May 27, scheduled in the U.S. Sept. 27 and in Europe in October. This is his second CD and a follow up to Love Stories in 2006. The production is solid as is DK’s soulful lyrical voice in his approach to the classic jazz materials chosen for this CD. Most recently I received a three-song maxi-single from Cordcalling, When I Scream, consisting London couple Denise and Brian Conway. While the recorded songs are not about their relationship, Denise says it’s a big part of how they came to play together. In their biography they claim their “unpredictable time changes and fusion of musical styles make their live performances beam with raw energy,” which is exactly what I thought while I was listening to the CD – as art house rockers they would be great live but as a guitar and drum duo those unpredictable time changes and sound fusions would benefit from a few more instruments and polish if they were hoping to move into the mainstream. However, everyone involved in the recording is pleased with the results. The three-song maxi-single was recorded at MAC Studios by Robert Nation and engineered Matt Grady. They had also hoped to return to the studio this summer but a heavy tour schedule has pushed that back. ¦ You can see Cordcalling perform live Friday, Sept. 26, 8 p.m. at The Embassy Hotel with Zealots Desire, Meath, The Randal’s, Underwater Solitaire and Twisted Alliance, $5 admission. 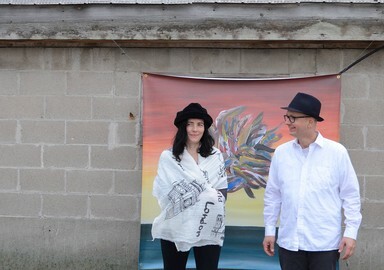 From London, Ontario, this husband and wife rock duo enjoy the creativity that goes into making music together and expressing what has been referred to as “the inner cries of the soul”. But beyond music and its cathartic powers, the two members that make up the band Cordcalling, Brian and Denise Conway also share a common goal of creating awareness about mental illness. Experiencing mental illness in their own lives, they hope to make a difference in their community. According to Cordcalling, they record and perform original music “expressing personal journeys in overcoming the obstacles of psychological issues”. Check out their music on the their myspace page or visit Cordcalling Offical Website. mym: You are a rock duo and also married to each other - what is it like being in a band with your spouse? Does this ever get stressful? How do you deal? Cordcalling: Well...in some ways, it is really cool being in a band with your spouse since you are more available and committed to one another than two other people might be. We connect on a deeper level than some other bands since we are married. On the other hand, doing music (something about which we are both passionate) together can be stressful. There are difficulties between all band members, and, when your band member is your spouse, this stress can be carried into other spheres of the relationship. Overall, we believe that being a duo and married is far better than us not being united in music. mym: Another unique aspect of your relationship is that, Brian, you have schizophrenia and Denise, you have OCD. What are the benefits and challenges of each of you having a mental illness? How does this impact your relationship? Cordcalling: Just as people have physical issues, we believe that everyone has psychological issues as well. The fact that both of us have psychological difficulties helps us to empathise with one another and others with similar struggles. We also believe that it helps us to be creative as a duo. mym: Do you think music provides a balance in your life? How? Cordcalling: Balance is very important to both of us and music is a part of that. We attempt to be as productive as we can while also monitoring our stress levels. mym: It is mentioned in your Bio that “Cordcalling's purpose is to express to the world, in their unique and sincere way, the inner cries of the soul”. How would you say music helps you to release emotions or to express yourself? Cordcalling: We both find music to be cathartic and therapeutic. We are fulfilled through expressing ourselves creatively. Greater than these two things, we have a higher purpose for our music: to lift people up through a hopeful message that is rooted in our faith in God. mym: You’ve shared the stage with some pretty big names, including Sloan, The Trews, Default, Hinder, Papa Roach, and Serena Ryder to name just a few. Do you have a favourite memory from the shows you’ve played so far? Cordcalling: Playing at Canadian Music Week, we were on the same bill as these bands. It meant a lot to us to have the opportunity to showcase at such a nationally renowned event. We look forward to more such opportunities to further impact people through our music. mym: If you could tour or record with any musician/band, dead or alive, who would it be? Cordcalling: Dave Grohl, since he is both a very talented musician and a positive person. mym: On a particularly stressful day, what might you do to relax and de-stress? Cordcalling: We both find our faith to be our number 1 de-stresser. Secondly, we often talk things over with one another. Being creative is also a very important coping method to both of us. In addition to music, Brian also does visual art and Denise writes poetry. Brian’s camomile tea and naps also help (lol). mym: When was the last time you did something for the first time? Care to share? Cordcalling: We are now completing our first full-length CD as Cordcalling. This is very exciting. It should be released later this year. We realise now how much money, time and work go into a full-length recording – but it is definitely worth it! mym: Best piece of advice someone has given you? Cordcalling: Persevering, stepping out, and continuing to do what you believe you are called to do is what produces great results. mym: Do you have any words that you live by? Cordcalling: Love. That pretty much sums up what we hope to and strive to live for. 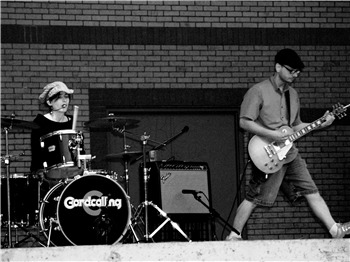 Cordcalling are a London-based guitar/drums duo comprised of husband and wife Brian and Denise Conway. Although they had both worked with larger groups, Denise says Cordcalling's duo format seemed to best suit the goals the pair had set for themselves. "We started out working with a few drummers, but none of them ever really stuck with it," she says on the bands's Web site. "I mean, being married, Brian and I already have a commitment, so it was hard to find someone we could have that same kind of musical connection with. I was playing bass, but one day about two years ago I said, 'Well, why don't I just play drums?" Recently, Cordcalling announced that they had finished mastering their full-length CD, which was recorded and mixed by Andre Doucette at the Forest City's Charterhouse Studios. A follow-up to their debut 2008 EP, When I scream, the album will contain edited versions of three previously recorded songs in addition to eight new tunes. In advance of the album's release, one of its songs, 'Thank-You' has been included in a promotional video for London's City Art Centre and will also be on a compilation CD associated with 1000 Acts of Kindness. Cordcalling will celebrate the release of the 1000 Acts of Kindness Compilation CD on Wednesday, October 13 at the London Music Club (470 Colborne St.). Prior to that date, Cordcalling, wsg Pilots of Dawn and More More, will perform at the Black Shire Pub (511 Talbot St.) on Saturday, September 25. Canadian Music Week '09 kicks off in Toronto on March 11. Chances are you've not heard of many of the bands playing the fest, so we sent out an email Q&A to help everyone get acquainted. We'll be presenting several of them here on The Ampersand as a preview to the festival. Describe your music in ten words or less. Is this your first CMW? If yes, tell us what you expect from it? If not, give some advice to a band whoís playing it for the first time. Yes, this is our first CMW. We are excited to be a part of the festival since we will meet a lot of people in the industry and just have a blast! Had you had been invited to play at Barack Obama's inauguration, which of your songs would you have chosen to play and why? Wicked Desires since it is basically about ridding ourselves of our self-centered motivations. I believe that Barack would agree with this message. If your live show was a colour, which colour would it be? I think it would be a mosaic of colours reflecting the diversity and creativity in our music. With so many bands playing CMW, why should people come see you? Because we are different..in a good way. If there is one thing that weíve heard about our music, it is that it stands out, but, not just for the sake of being different..itís just who we are. We will mess with their ideology about music, life, etc. am lost in a world of anger, love, peace and adrenaline. What's the most memorable thing that's happened while you were on tour? Managing to cram 2 guitars, 2 amps, a drum kit, etc, plus the occasional extra person and the two of us into a Honda Civic before we got a van! It's hard to pin down the grunge-esqe London rock duo Cordcalling, but Denise and Brian Conway don't mind ­finding themselves somewhere outside the box. Although the husband and wife guitar and drum duet may invoke the White Stripes, their gritty brand of rock 'n' roll looks to stand out on its own. "I think it's definitely heavier," Denise said. "I'm influenced by the grunge era – I love Nirvana and Pearl Jam." Brian, though, found his way back to '70s acts like Led Zeppelin as a teenager growing up beside Denise out in the country between Thornhill and St. Marys. "It's kind of a mixture of all different styles," he said. "We just like to be creative, be unique." The band recently finished recording their first full-length album, a followup to a previous three-song maxi-single recorded at Charterhouse Studio. "This time we were a lot more relaxed actually," said Denise. They have never fully enjoyed the studio experience, preferring instead to perform live, but the new album "Obsessed by the Light" definitely isn't over-produced. "We wanted to keep it kind of rough and not too smooth or polished," Brian said. "I'm happy with it I think it sounds really good." The tracks will be familiar to concert-goers who have caught Cordcalling shows in the past. The album includes their original three recordings plus eight more songs from their repertoire of sometimes angsty, sometimes poetic, ­distortion-driven tunes. "Everybody can get something out of it I think," Denise said. "A lot of people will say it sounds angry, but it's angry and hopeful at the same time. There's always a hopeful message in there as well." Londoners familiar or curious about Cordcalling will get a chance to hear them live at the London Music Club tonight where they are celebrating the release of their album along with local opening acts The Randals and Kyle Peterkin. They said they are hoping the album will provide them a springboard to also play their music outside of the London scene. "Once we have the CD released we want to get as many people there as possible then go to different places," Brian said. "Because we have played these songs a lot in London." "(The show) will be a little bit different," Denise added. "We're going to add some visuals and things we normally wouldn't have in the show." Brian – also an abstract painter – will be bringing some of his pieces along to tonight's show, many of which relate with tracks from the album, written by either him or Denise, but rarely together. "She writes more poetic lyrics," Brian said. "I write simpler, straight to the point." "We balance each other out in a lot of ways," Denise said with a smile. "We're more loose with it now, we'll listen to each other more now, but maybe that's because we're married too." Building on the buzz of their three-song EP When I Scream, local duo Cordcalling has been hard at work on their full-length disc. 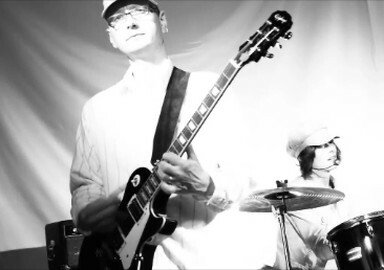 Formed by vocalist/drummer Denise Conway and guitarist Brian Conway, the venture of this husband-and-wife combo might make you think White Stripes, but the primal and explosive vocals Denise brings to the mic is more akin to Patti Smith or the riotous spirit of Sleater Kinney. Having performed at Canadian Music Week, sharing bills with everyone from Sloan to Illscarlett, as well as earning nominations at the London Music Awards, the band is certainly one to watch in the next year. They’ll play Black Shire Pub on Saturday night with More More and Pilots of Dawn. The show starts at 9 p.m. This week's Reaney's Pick guests are a two-piece band with one purpose just now -- Cordcalling is launching its first full-length album this week. 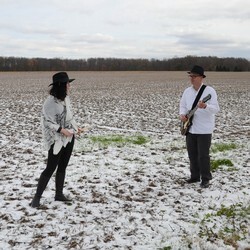 The married couple of Denise Conway (lead vocals/drums) and Brian Conway (vocals/guitar) are heard in one of Obsessed By The Light's songs What I Have in the lfpress.com video. The London indie rock duo performs unplugged style in Wednesday's video. On Thursday, Cordcalling plays the London Music Club. The duo has an in-store appearance at Grooves in downtown London on Saturday afternoon. The two met when they were growing up in the Thorndale-St. Marys area. Later, they moved to London. A couple for about 10 years, they became a rock duo a few years ago when the drummers for the trio forerunner's to Cordcalling didn't seem to work out. Denise Conway had wanted to play drums and moved behind the kit. "The White Stripes gave me the courage to do it," she says of the inevitable Meg-White-as-an-influence question. 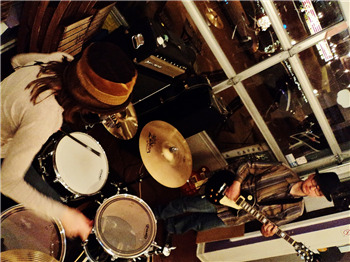 Without copying White's drumming or The White Stripes, Conway was inspired by the Michigan rock duo's drums-and-guitar approach to rock. "It has been done. It has been successful," she says, recalling her reaction to the idea of playing drums in a two-piece band. 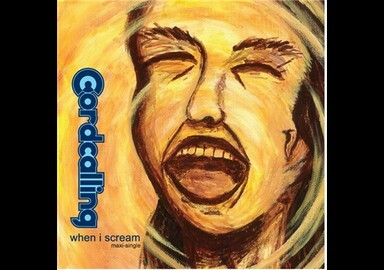 Cordcalling's 2008 album was When I Scream, a three-song maxi-single. Obsessed By the Light was recorded at Charterhouse Studios in London. "We've wanted to get it out for a while. We want to get recording again," Conway says. 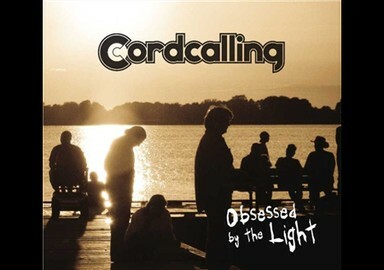 Cordcalling's self-description says its music uses "unpredictable time changes and (a) fusion of various music styles." London rock critics hear punk, Goth, grunge and more in the duo's compact, high-energy songs. "It's a real mixture of styles. It does seem to have its own style, too," Brian Conway says of What I Have. Those words could also apply to Obsessed By The Light as an album. The band's name has a spiritual meaning. Cordcalling says: "Cord is the spiritual bond that connects them to one another and to their Maker. Calling is symbolic of their belief that everyone has a purpose." 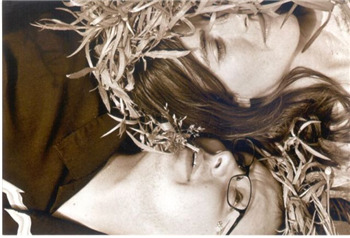 What: CD-launching appearances by London duo Cordcalling this week. Thursday, doors at 7:30 p.m. - The London Music Club, 470 Colborne St. The Randals and Kyle Peterkin are also on the bill. $3 or $15 with CD purchase. Visit cordcalling.com or londonmusicclub.com or call 519-640-6996. Saturday, 3 p.m. - Grooves, 353 Clarence St. Free. Call 519-640-6714. E-mail james.reaney@sunmedia.ca, read James's blog or follow Jamesatlfpress on Twitter. All four songs we played for you are from our in studio guests, the band Cordcalling, made up of husband and wife duo Denise and Brian Conway. The last track you heard on sCreamGrrrl’s Can Con corner is called Wicked Desires and one of my favourites. You can find it on their 2010 album titled Obsessed by the Light. We also played 3 new songs for you called My Friend, Untied and Happy from their upcoming 2nd full length album titled “We are Still,” to be released next month on April 8th. HowieZowie and sCreamGrrrl have been fortunate to get a sneak peak at the new album before its official release date. We’ve listened to the album this week, while hanging out in our sun room and I have to tell you that it’s absolutely amazing. These two totally freak me out and I mean that in a good way. Their sound is hard to pin down. They seem so familiar to me yet so unfamiliar. They definitely have a style of their own. The Album Release will take place at the London Music Club in the Big Hall on the main level on April 8th doors open at 6:15pm with Cordcalling hitting the stage at 8pm. Minimum cover is $3 at the door and you can’t beat that. Then on April 22nd Cordcalling will be performing live at Grooves Record Store from 1 to 1:40 pm. And very important to mention that April 22 is Record Store Day, notably the 10th anniversary of record store day and sentimentally just in time for commemorating the independent music scene. You can also pick up hard copies of their LP at Grooves on this day. We promise you will not be disappointed. Admission is free so check them out. And you can find all this information on their official website cordcalling.com and they also have a FB page you can check out that has created these events on-line. "Ransomed Felon" is Cordcalling's December, 2018 new single release. The song was recorded and mixed by Ben Srokosz at The Kent in Chatham, ON. It was Mastered by Soundlab in New Jersey, U.S. "Ransomed Felon" is written and performed by Denise and Brian Conway of Cordcalling. Mastered by Gil Tamazyan at Capsule Labs in Los Angeles, California, U.S.A. Mastered at The Soundlab in New Jersey, U.S.
Cordcalling is London, ON-based husband-wife art rock duo "doing more with less" (Jason Schneider of Kitchener ON's The Record). The duo is actively engaged in their hometown’s growing vibrant music scene, being included among the most nominated bands and among the performing acts in association with The London Music Awards and The Forest City London Music Awards (formerly Jack Richardson London Music Awards). This creative act has performed at esteemed local and area festivals/venues including Home County Music and Art Festival, The Western Fair, The Fringe Festival, Ribfest, Nuit Blanche, Dollhouse Showcase – Celebrating Canadian Women in Music, 1000 Acts of Kindness, Back to the Garden, The London Free Press Newsroom, CHRW Radio, London Music Hall Lounge, The Opera House (Toronto), Sarnia First Friday, Record Store Day and more. Cordcalling are keeping fans intrigued with the recent release of their well-received single “Ransomed Felon” and popular official music video for their song “Happy” off the album “We are Still.” Alan Cross comments on "Ransomed Felon" that "if you can say what you need to say in 90 seconds, then great," and he adds that the duo "do NOT waste." Steve Murphy of the music website "Great Dark Wonder" appraises "Ransomed Felon" as proof that "you don't need a long song to make a good song." 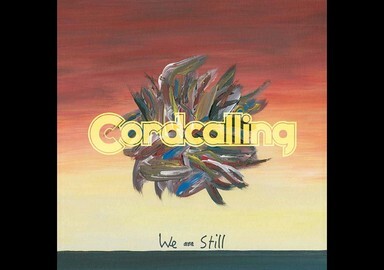 Cordcalling's latest album, "We are Still," a bold throwback to "old-school" recording techniques, has made it to the top 3 charts on college radio and has been featured on “Beyond Mainstream” on K106.3 FM Great Classics and The Best New Rock. Mark Anthony Brennan, of the Canadian Music Blog, "Ride the Tempo," remarks that Cordcalling "draw in everything from British Invasion to prog rock, but the overall effect is cohesive and powerful." Having received airplay from London’s Best Rock FM 96 and top charting positions on Canadian college radio; press, such as Canadian Musician Magazine; and performances at top festivals/venues, including Canadian Music Week and Toronto’s The Horseshoe Tavern, Cordcalling is guaranteed to entertain and engage any audience with their "compact, high-energy songs" which James Reaney values as having "a style of their own" (The London Free Press, London, ON). 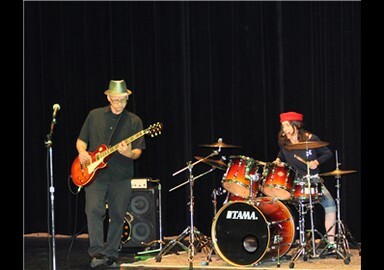 Cordcalling provide a high-energy, family-friendly set consisting of mostly original songs. We have enjoyed successful performances ranging up to 2 hours in length. We also perform creative renditions of well-known cover songs, which engage and intrigue our audiences. We normally perform electrically with electric guitar and a full drum kit. 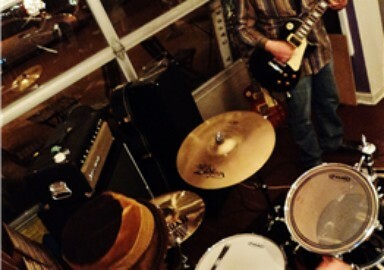 Our songs also translate successfully with an acoustic set-up, using an acoustic guitar and hand drum. I’ve got my family, my friends, my church, my God. There’s nothin’ more than I can boast of that that you are fighting for me. And I’ve got my love. But power hides within the smallest cry. Wedge you’ve place in me. Tears you’ve felt for me. World you’ve gained for me. I’m the window they see. The mirror that makes new. I don’t find the dark compellin’. I want to let the day in. His light has let the day in. I am a ransomed felon.